Many of my small business clients come to me wanting to take advantage of everything the digital marketing world has to offer. Oftentimes, they neglect direct mail because they think the digital medium is the only feasible alternative given the increasing number of searches for products or services online. While I agree that online marketing strategies can be very effective and should be part of the mix of marketing strategies for any small business owner, I make sure my clients understand that direct mail may be an effective way to reach their customers, and an assessment should be done to determine if direct mail is feasible for their business. The reason I recommend that small business owners and others consider direct mail, is because one cannot dispute the fact that even in a digital world, direct mail can be a very powerful medium. Think about your own experience with direct mail such as letters, postcards, inserts or brochures. Many people look forward to receiving their daily mail, and most sort through it immediately the day it is delivered. Contrast this to email promotions, or social media activity, that may or may not reach the intended recipient, and may or may not get opened or read completely. 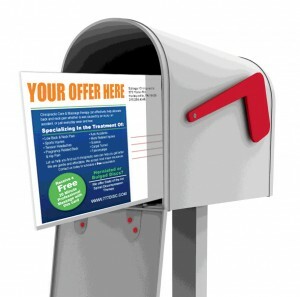 If done well; targeting the right audience, with the right message, at the right time, with a return on investment that makes sense, direct mail could be a viable option for your small business marketing plan.